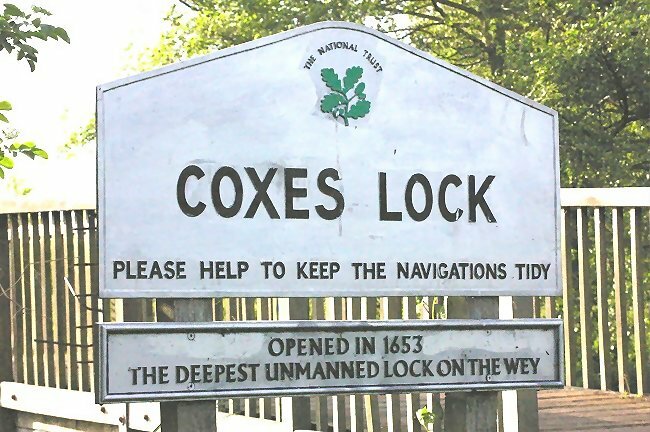 The sign at Coxes Lock states that it was opened in 1653. Improvements were then made to it and the present brickwork includes a stone inscribed "Built 1770". 16th May 2009. 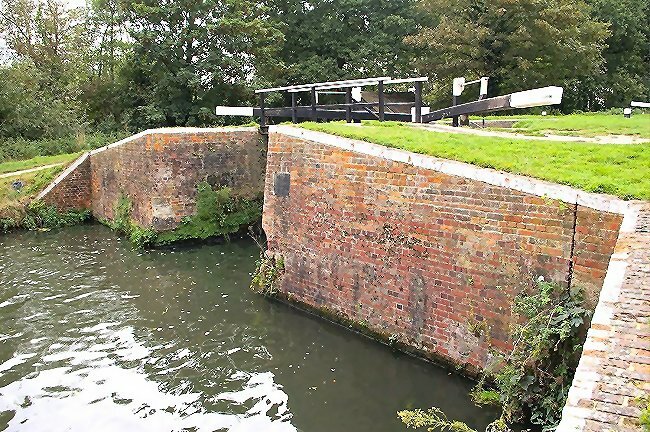 The Lock entrance, seen from the Weybridge end. The square black mark on the wall gives the lock's building date. The lock builder's date stone. 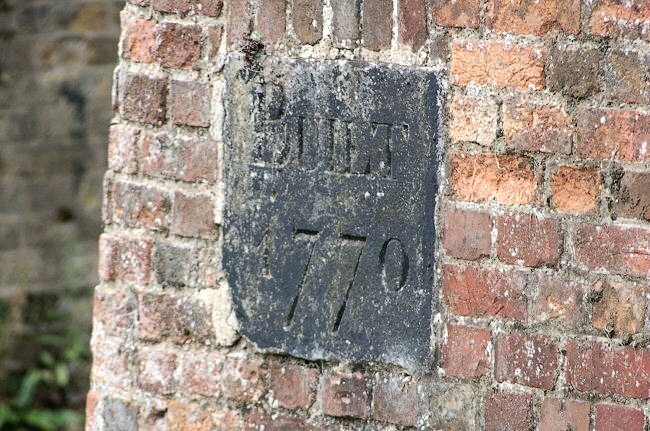 It reads "Built 1770". Photographed 26th September 2009. 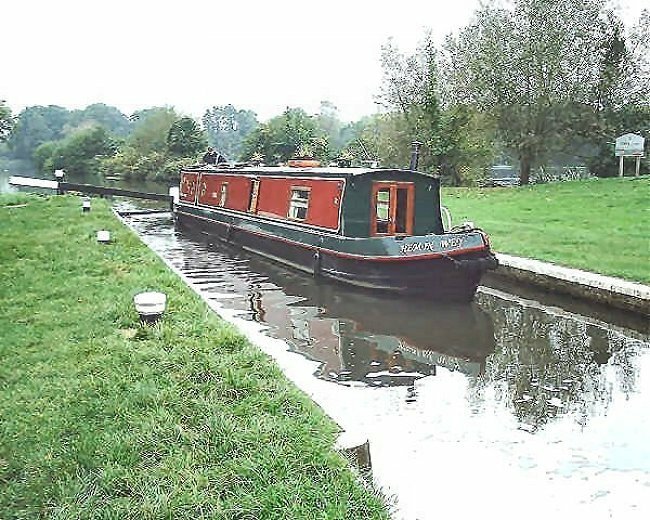 This River Wey Navigation was one of the earlier British canals, pre-dating many of those in the Midlands and North of England. The first stretch of the route was opened in 1653. 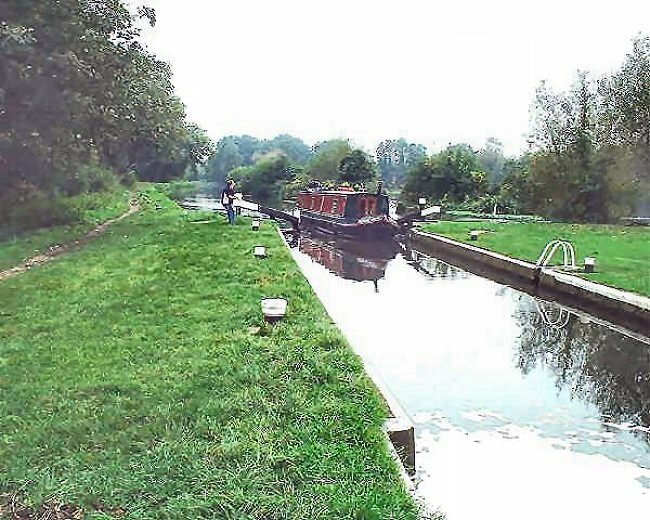 Since 1964 the waterway has been in the care of the National Trust. 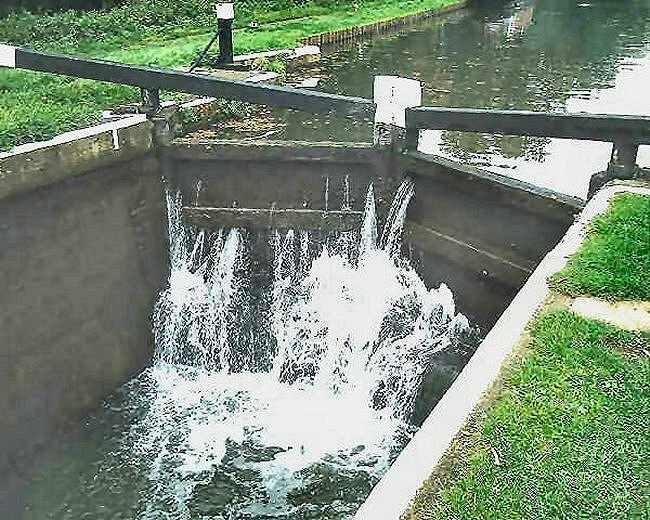 Water rushes through the gates of Coxes Lock on the River Wey Navigation at Addlestone 10th October 2007. General view above Coxes Lock on the River Wey Navigation at Addlestone 10th October 2007. The area of water on the right leads to the mill pond for Coxes Mill, which is probably better described as a small lake. 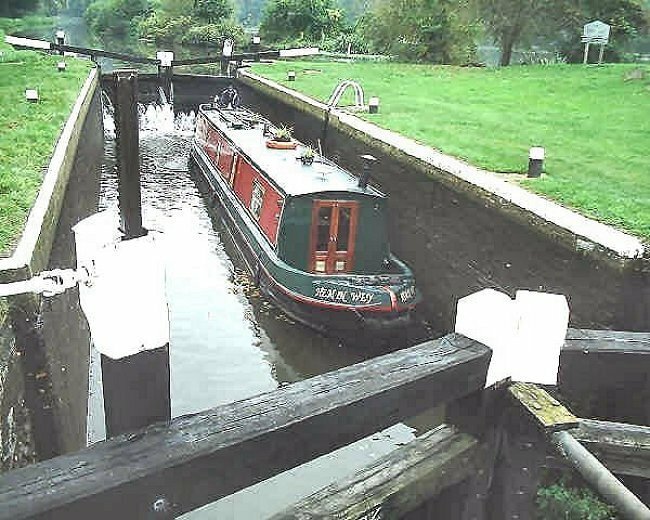 Coxes Lock raises and lowers vessels by 8ft 6in. A canal boat enters Coxes Lock. Photograph dated 10th October 2007. The canal barge "Hem In Wey" prepares to be lowered in Coxes Lock on 10th October 2007. In 1729 £254 was paid to John Purdue to build Coxes Lock. Further work was carried out in 1733 at a cost of £84 and major rebuilding work was undertaken in 1770 / 1771. 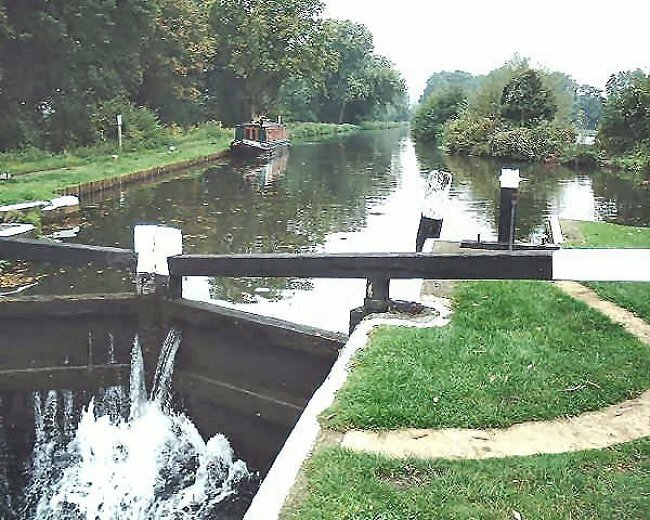 The narrow boat "Hem In Way" at Coxes Lock in the process of being lowered to the level of the initial section of the River Wey Navigation canal between Weybridge and Addlestone. Photograph dated 10th October 2007.